It was my first, and it was beautiful. It was not difficult, even though friends said they couldn’t make such beautiful meringue peaks. 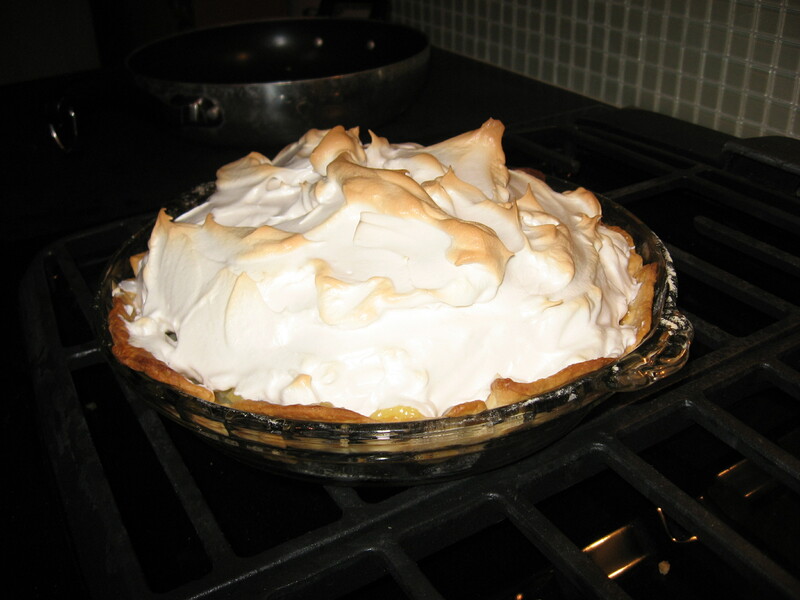 Recipe off Epicurious and was from Bon Appetit: Bake-sale lemon meringue pie. Now, doesn’t that sound easy? Two men, including the birthday guy of honor, said it was second best to mom/ grandma’s version, and I don’t think it gets better than that. And I will make it again, for sure.